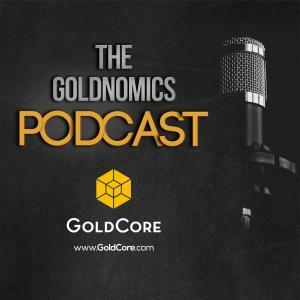 Talking about gold, silver and surviving the next financial crash, Jim Rogers, legendary investor and “Adventure Capitalist” speaks with Mark O’Byrne GoldCore’s Director of Research in Episode 7 of the Goldnomics Podcast. Are the actions of the US administration making China great again? What currency is going to challenge the US dollar as the global reserve? What can we do to protect ourselves against the next financial crash? Jim gives us his opinions on these matters based on his decades of experience in the commodities markets as the “Adventure Capitalist”. 01:00 - Meet Jim Rogers: Best-selling author, traveler, finance expert and investment guru. 03:30 - Looking at the facts and potential, is the 21st century truly an Asian century? 05:00 - Are Trump's policies right for the American economy? 06:10 - Increasing global debt and the potential for stagflation, depression and trade conflicts around the world. 08:10 - Unreported off balance sheet debt and other liabilities, and the most recent Institute for International Finance global debt report - should we be worried? 10:05 - It's global debt, we all owe it to each other. Should we be concerned? 11:10 - Are central banks powerful enough to keep debts at sustainable levels? 11:52 - Can we trust the dollar as a store of value down the road? 13:06 - Brexit and other eurozone conflicts: Is the euro safe? 14:11 - Is the Euro properly structured and sound enough to survive the EU conflicts? 15:00 - The Chinese renminbi looks set to take over as the next best international reserve currency. 17:53 - The future of cryptocurrency and blockchain technology. 19:01 - Bitcoin and most other cryptocurrencies may not survive into the future because government have the guns and government don't like losing control. 20:10 - Future digital currencies is going to most likely be government money. 22:22 - Gold is presently a better choice to invest in than silver. 25:50 - Picking the best location to store or own your gold. 26:23 - What do precious metals owners know that other investors don't know? 29:01 - Learn Madarin as a first, second or third language and know about the world. 30:28 - Everybody needs to have a Plan B just in case.